I’ve been working on the third entry in this Minecraft adventure map series. Does the above maze look familiar to anyone? 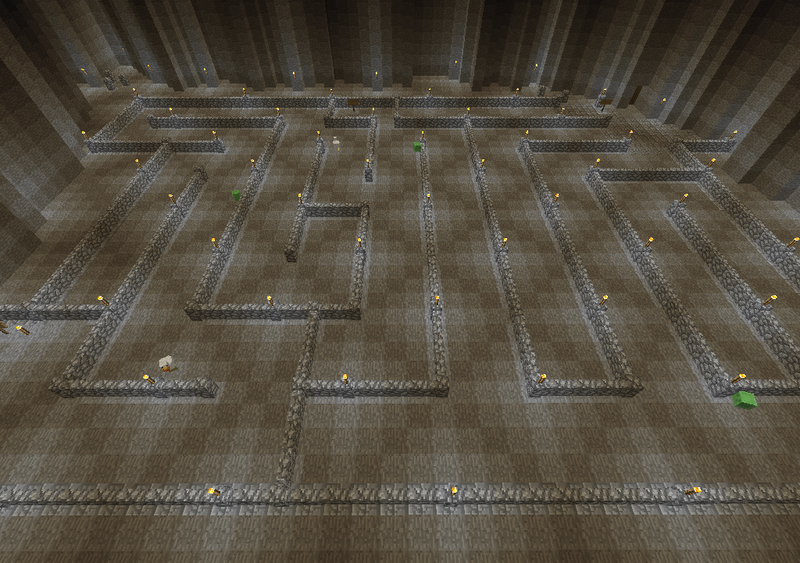 I’ve got three full mazes down, an introductory area, and one large structure. Lets see, I’ve got... about 5 more full mazes to do, plus a few smaller mazes, another large structure, and possibly a separate area for the ending to the game.